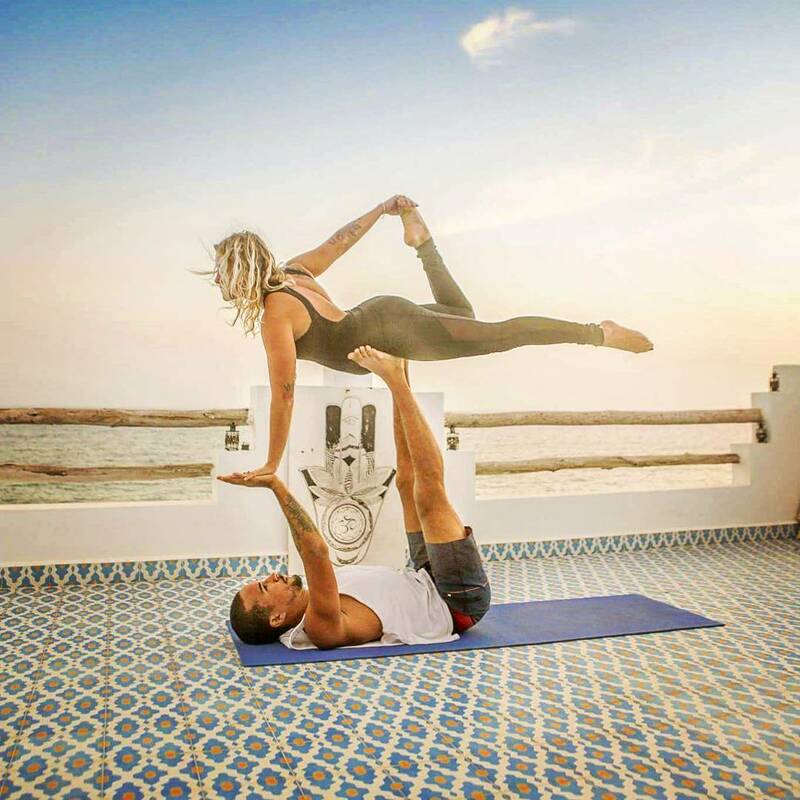 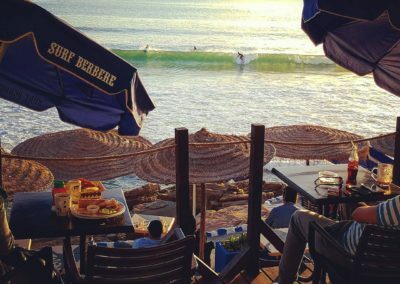 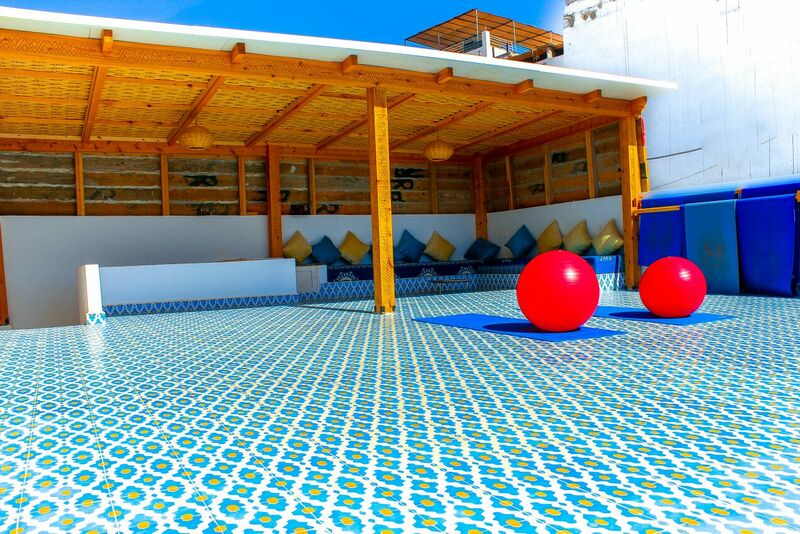 Taghazout’s yoga offering has just stepped up to a whole new level! 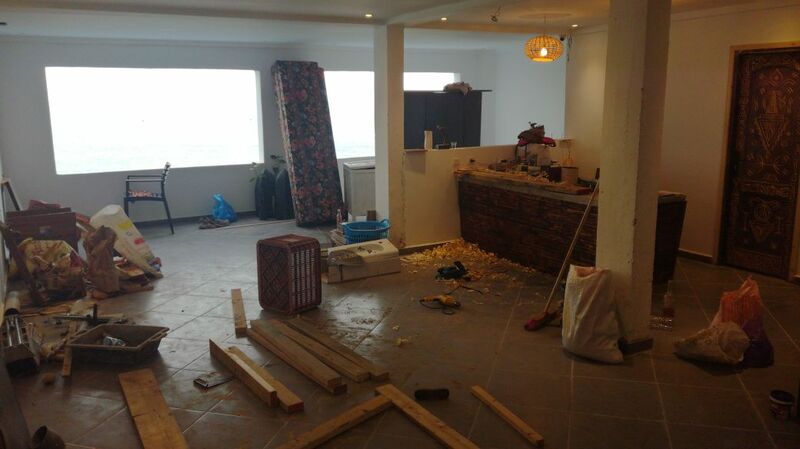 A few months on and we have finally got there! 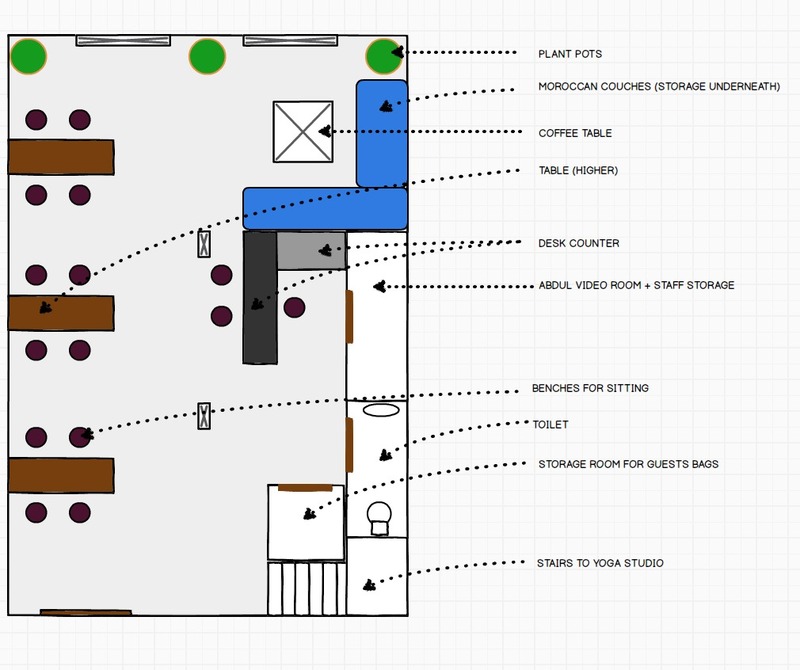 Yep, to do the office area, we had to move our HQ downstairs back in to the recently finished cafe. 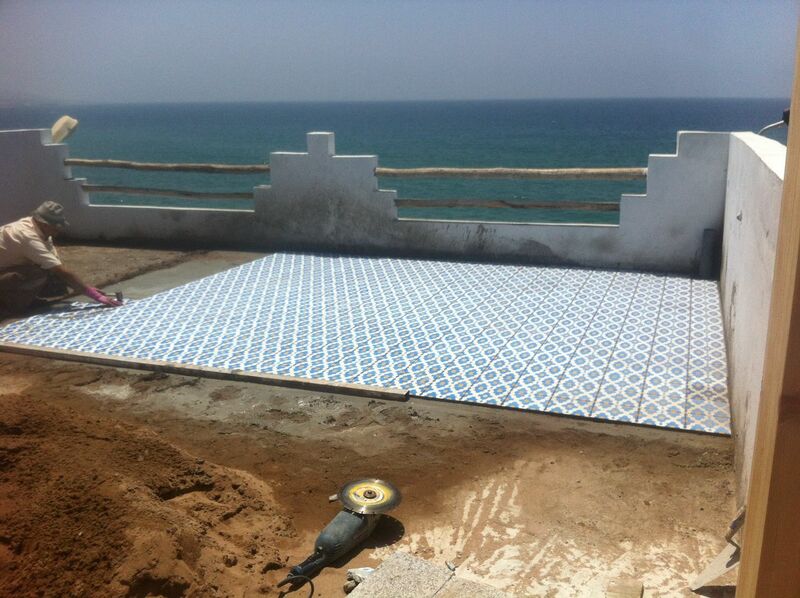 Interesting, squeezing in there in the summer heat, but worth the pain. 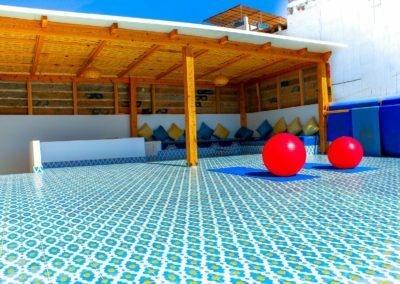 All those hot summer’s days have long passed and now we have a big, spacious, beautiful office with our own little custom moroccan touches. 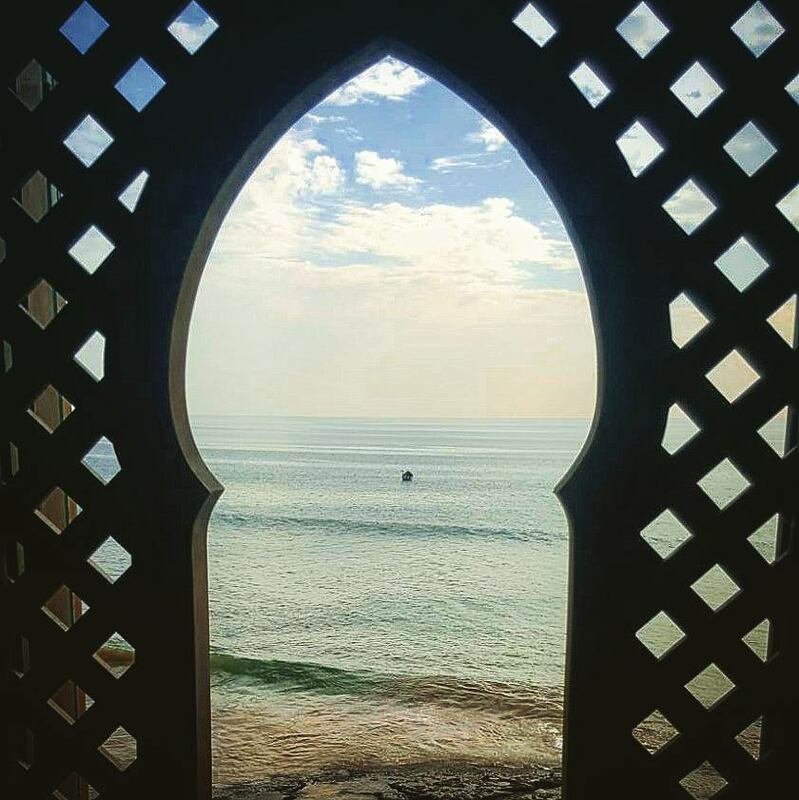 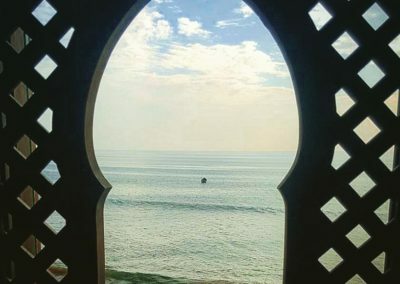 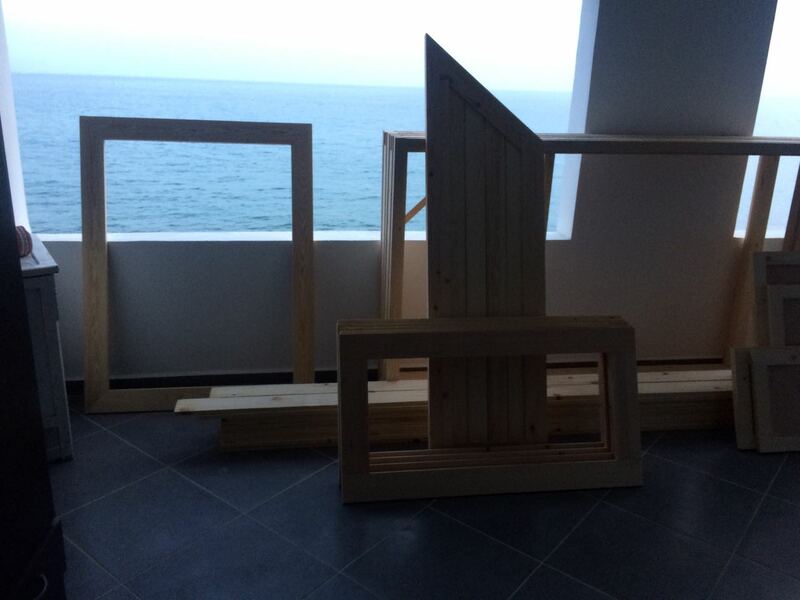 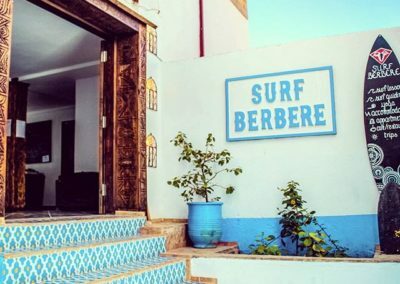 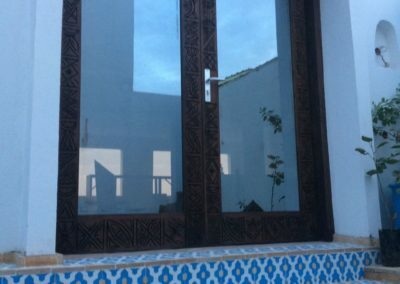 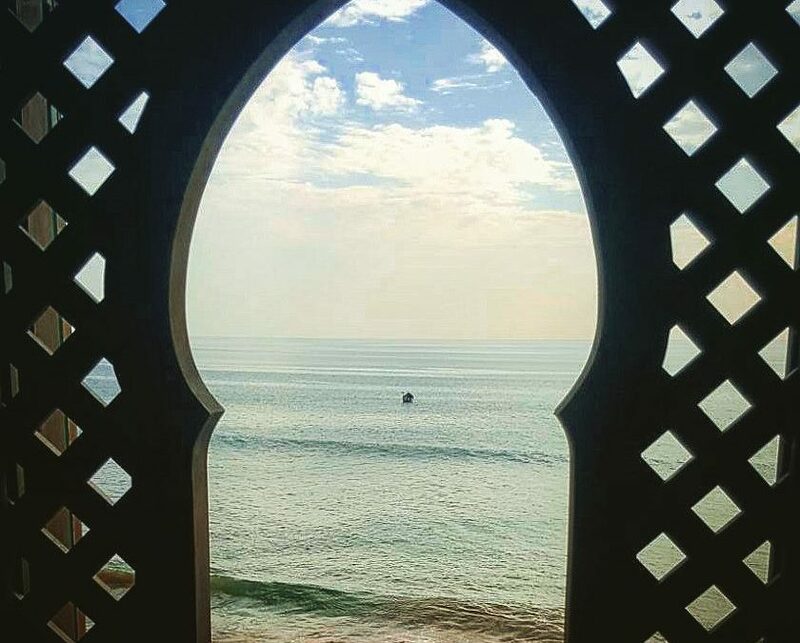 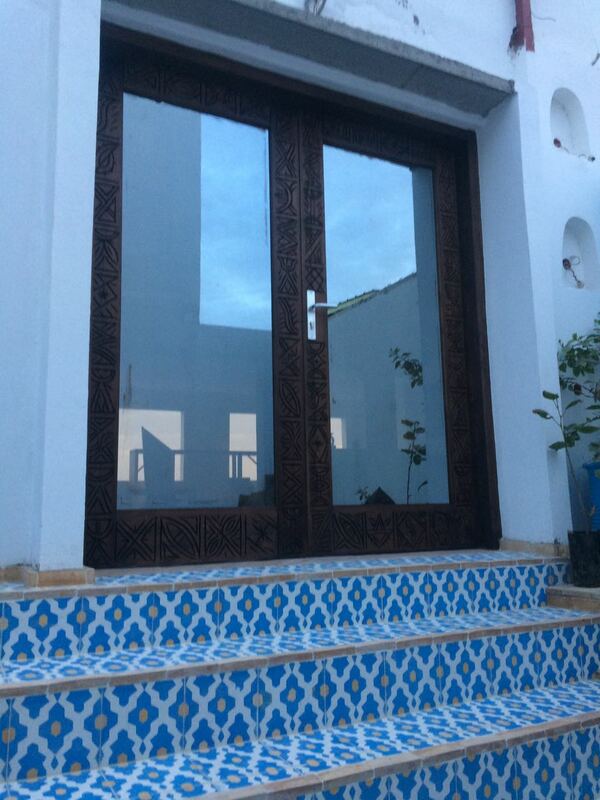 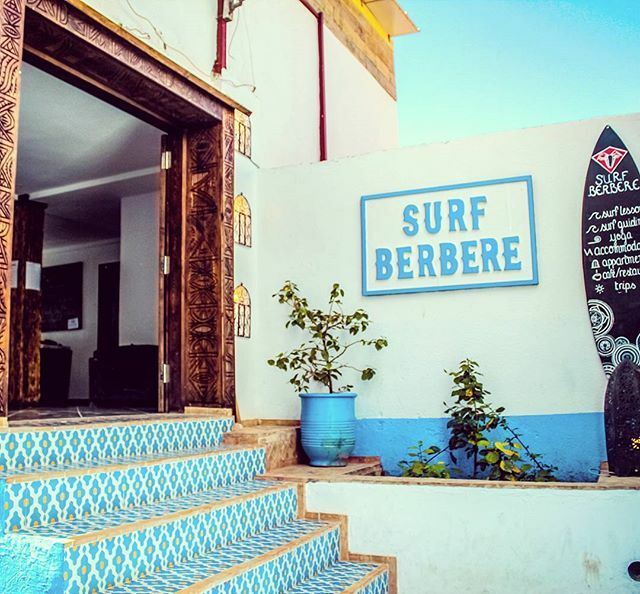 Carved mirrors, specially designed tables, lamps, moroccan settees, and slightly phallic windows with stunning sea views. Oh and we installed fibre internet in there, so you can get 100mbs download speeds and happily stare out in to the big blue whilst pretending to do some work sipping on your nus nus! 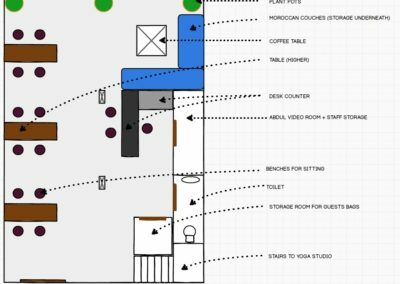 What Happened To The Yoga Studio? 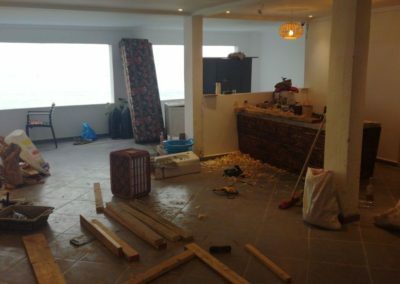 Reinvention sometimes requires a bit of destruction and with it, we heralded the arrival of a stunning new space with custom made tiles, beautiful seating at the back and more glorious ocean views (all the way up to Anchor Point this time!). 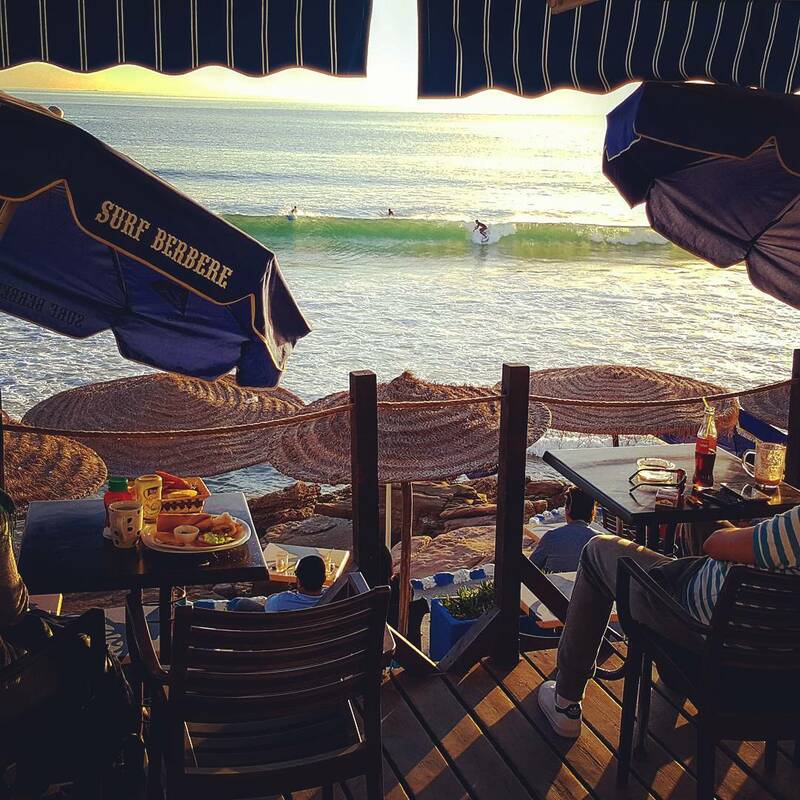 Self indulgent question… YEP, we did! 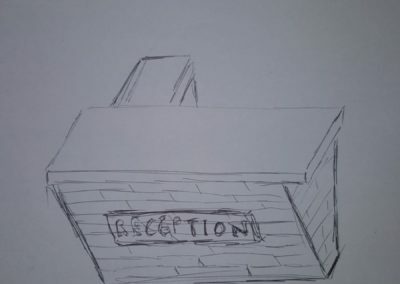 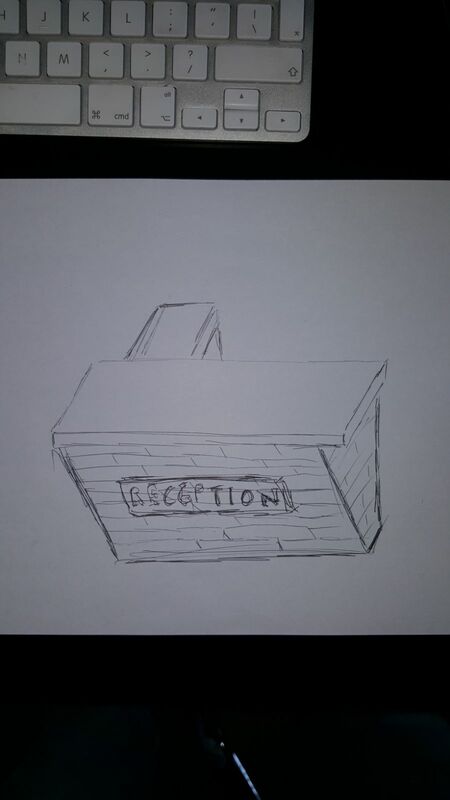 We got our pencil and paper out and between Abdul, James and Lahcen the wood guy, we managed to make some of these sketches come to life (seriously kudos to the guys for somehow managing to interpret these things from whatsapp conversations). 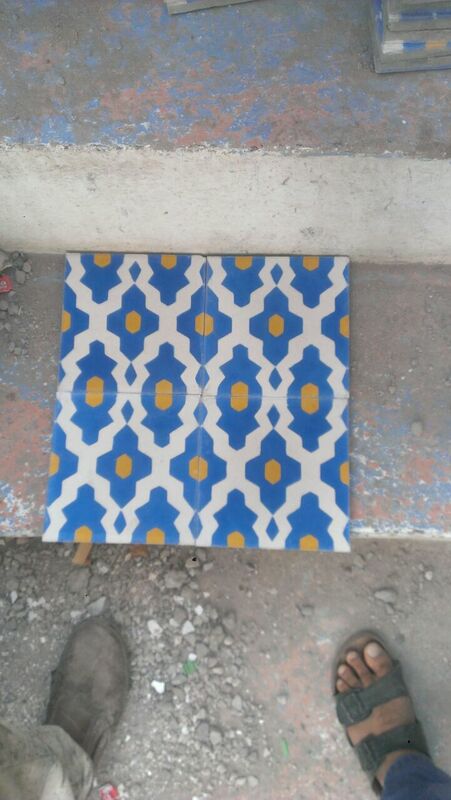 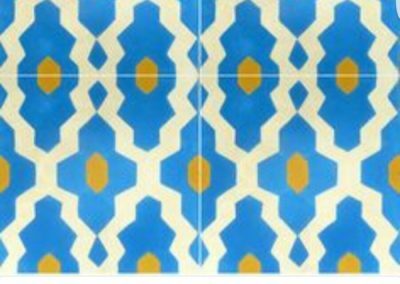 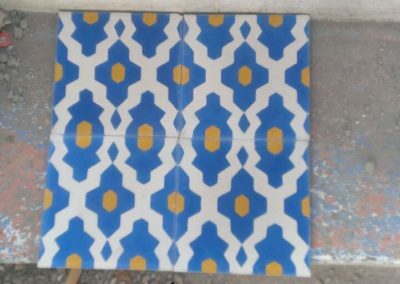 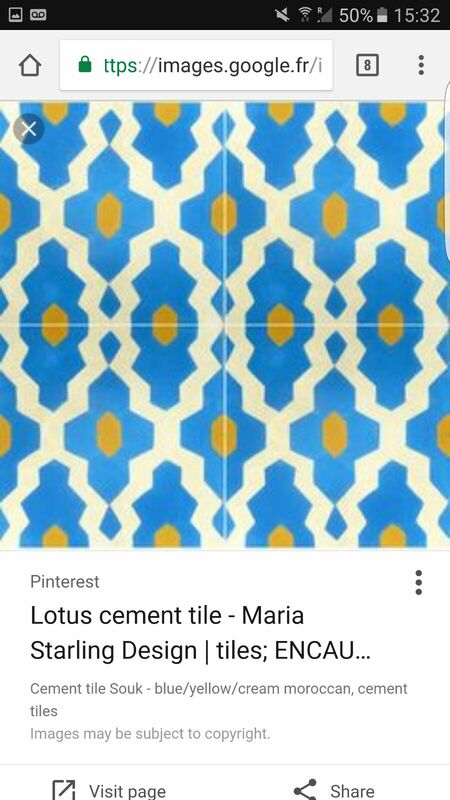 The good news is that if you spot some tiles you like on pinterest, we can get them made up for you on the 4th attempt! 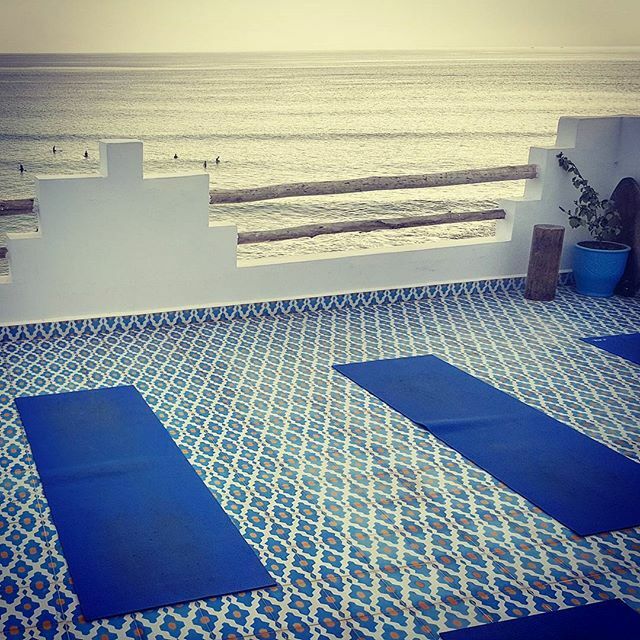 Tempted For Some Surf & Yoga Yet? 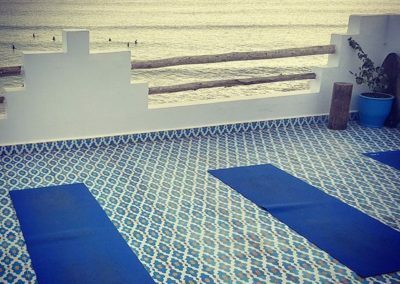 What are you waiting for, stunning yoga studio right on the sea front, perfect waves for learning to surf on, amazing beaches all around you, and a stunning country and people to welcome you in for a week’s holiday. 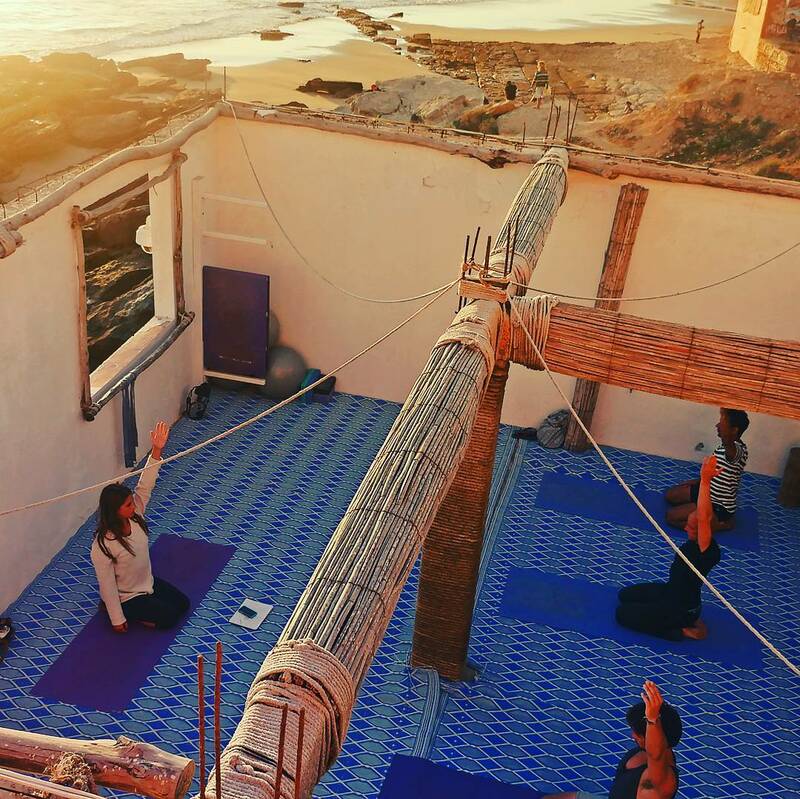 Think You Might Fancy A Surf & Yoga Week?